Johnny Sanphillippo is a Strong Towns member who writes the blog Granola Shotgun. 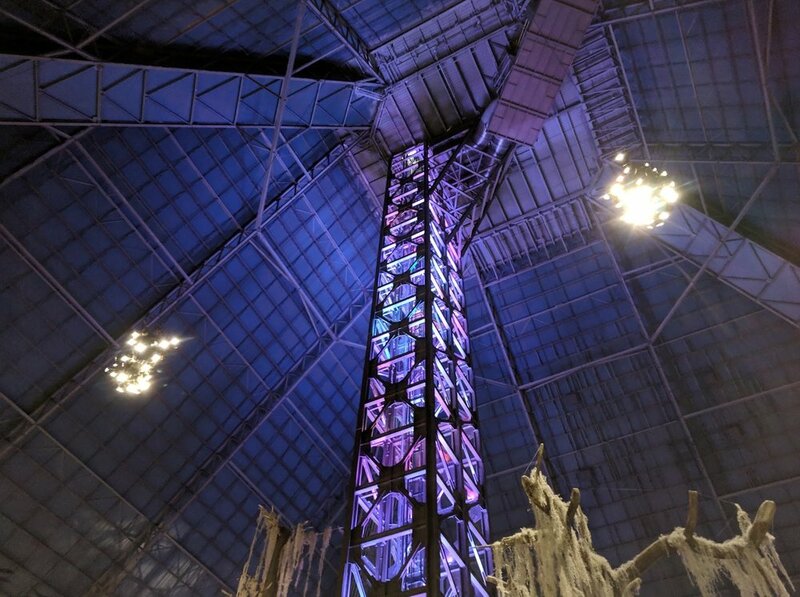 This piece is part of a series of posts about Memphis: here, Johnny offers his take on the Memphis Pyramid, which we’ve written about before. This piece was originally published on his site and is republished here with permission. –Strong Towns staff. 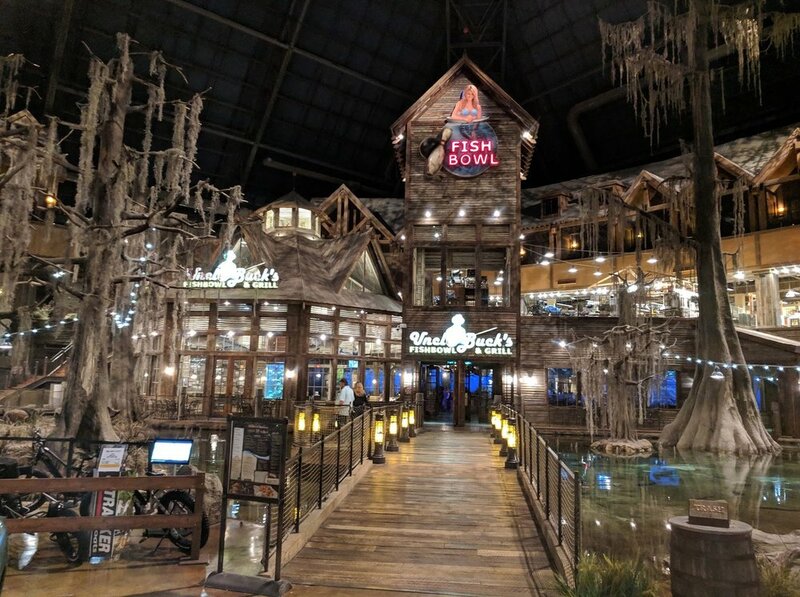 This is the Bass Pro Shops flagship store inside the Memphis Pyramid. It feels like the love child of Dolly Parton and I.M. Pei. 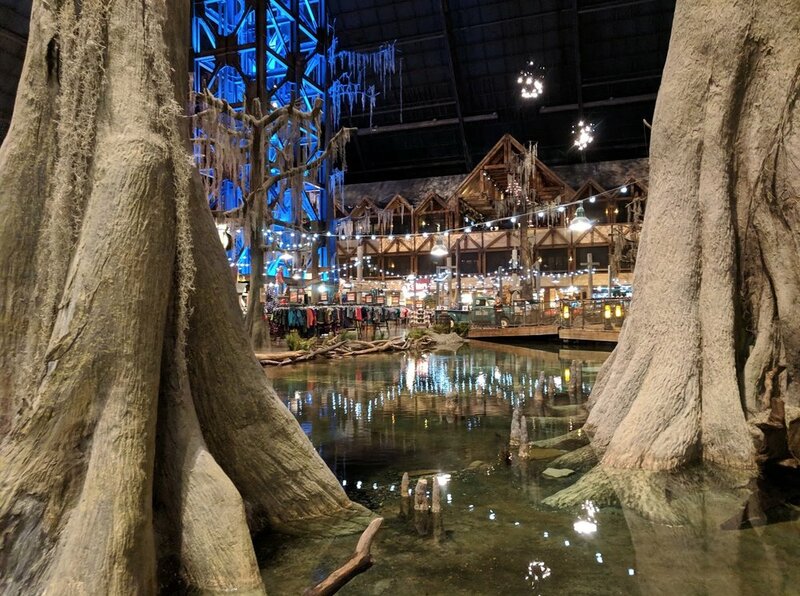 It’s part civic icon and part retail fantasia complete with an indoor climate controlled cypress swamp. A mermaid in a seashell brassiere invites guests to a unique family dining and entertainment experience. Seafood and bowling. Classy. If BPS, LLC had built this place themselves and financed it with their own capital in the expectation of earning a handsome profit for investors, I’d think the place was a kitschy bit of fun. Who doesn’t want to buy rubber wading boots inside a glass pyramid with an observation deck? It’s Chuck E. Cheese on anabolic steroids. Walmart with a touch of Vegas glamor. It’s worth the drive from Arkansas. But what you’re actually looking at is well north of $100 million of taxpayer funds in the guise of a private venture. It’s subsidized and backstopped by local government from top to bottom. In 1989 city leaders in Memphis spent $65 million to build the pyramid to house a professional basketball team. Lots of cities do this sort of thing. Evidently you can’t hold your head up high at church on Sunday if you don’t live in a place with some kind of nationally recognized sports franchise. The same people who moan about squandering taxpayer money on after school sports programs for low income kids trip over themselves to write a blank check for a shiny new stadium for billionaire vanity projects. The pyramid was going to be transformative. Catalytic. A game changer. The pyramid and its associated activities would be an economic engine that would breathe new life into downtown. It would be a regional destination. It seemed like a good idea at the time. But it was a financial disaster from the very beginning, and the situation only got worse over the past three decades. The basketball team quickly left to occupy an even larger more expensive $250 million publicly funded stadium down the road. There’s a reason these projects get built. It’s a big pie. Lots of important people get a slice: engineering firms, construction companies, concrete and steel suppliers, the banks that cobble together the financing packages and float the municipal bonds…. And since the costs are widely distributed and stretched out over many years in a nebulous fashion, well connected business leaders lobby hard for these silver bullet projects. They really do create jobs and generate economic activity in the short term. I never interpret these dynamics as corruption. It’s human nature. Who doesn’t want a big upfront bonus right now in exchange for some vague bill that will arrive years in the future—especially if you personally don’t even live in the district that’s responsible for the debt repayment schedule? The initial plan was for the pyramid to sit high on a bluff. But there were complications and it ended up forty feet down in a hole in a flood plain along the river. A flood control wall and giant pumps keep the building dry. What could go wrong? Ten years went by after the basketball team left and the pyramid sat vacant. The longer the pyramid remained dark the more maintenance costs dragged on without generating revenue. The city became increasingly desperate for a tenant. 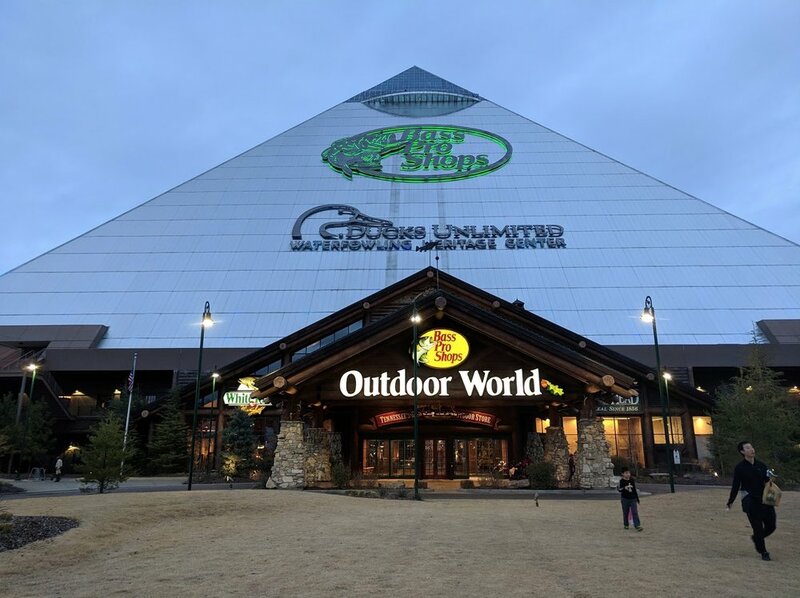 And then came the Bass Pro Shops offer to solve all the pyramid’s problems. All that was needed was an additional $35 million dollars of public money to retrofit the structure. Done! Public bonds were sold and are being paid back with a tax surcharge on the surrounding neighborhood. That’s odd for a project that was supposed to revitalize the area and pump cash into it… But hey, who even remembers why the pyramid was built? That was decades ago. And look at how well the neighborhood is doing! In theory Bass Pro Shops is legally bound to occupy the space and pay rent for fifty five years. But I’m looking at a shaky economy with a recession on the horizon, the slow death of retail in general, and the very real possibility that corporate bankruptcy might just make past promises irrelevant. The profits will be retained by the company while the losses are shifted to the city. I don’t blame the company. The city inflicted this on itself. If you build it they will come. That’s a bad economic development strategy. Out in front of the pyramid sits a boat advertised for only $143 a month. Lots of people dream of buying such a boat for fishing and pleasure trips on the lake or river. At this price point with special financing the boat (and the dream) is actually attainable. But there’s the fine print. The payments last for 144 months. That’s twelve years. With interest. But they’re easy payments. I know several families with boats like this one. They sit in the driveway covered in tarps 98% of the time taking up space and costing the owners money. Just like the pyramid. All photos by Johnny Sanphillippo.